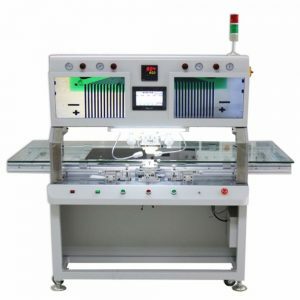 VD Intellisys Manufactures top quality Acf bonding machine which can be used in variety of applications and is designed for LCD/LED TV repair, which can solve the problem of ACF/COF/TAB fault, the function of VD-680-PS is replacing, bonding, re-bonding COF/TAB on LCD glass and PCB . VD-680-PS Acf bonding machine : Its hugely popular acf bonding machines having sold more than 1200 pcs worlwide. Its single head acf bonding machine. VD-680-PD Acf bonding machine: Its double head acf bonding machine also very famous. VD-580-Ps: We designed economical acf bonding machine to serve small tv centres in Asia and Africa. HOW VD-580-PS and VDd-680-PS are better than any other machine ? Most of the metals used in the machine are of high quality so overall weight is much higher. We have vacuum adsorption system inbuilt. The most obvious advantage is we are the biggest cof supplier in the world having procurement networks direct in BOE,chemei ,etc.